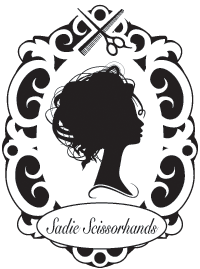 Sadie Scissorhands is a new trendy salon in Wellington, Ohio specializing in hair, nails and skin. Our salon is different. We have worked very hard to create a visually unique space that is fun, whimsical and elegant. Our team of talented stylists are here to offer friendly, professional services, whether you just need refreshed or want a whole new ‘do’. We are committed to making you feel welcomed on your way in and beautiful on your way out!